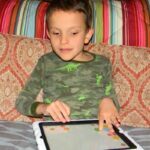 5 Ways to Teach Your Blind Child How to Use an iPad. Start now to build the technology skills they will need for their future. Question: Sighted kids these days are picking up iPads and using them to learn reading and math… why can’t we do this for our children who are blind as well? If touch screens and mobile devices are the tools our kids need for their education (and possibly in the workforce when they are adults), shouldn’t we be teaching them the skills they need to access them right from the beginning? Getting started on the iPad may seem a little daunting at first, especially if you aren’t very familiar with the device yourself. Below are some tips to help you and your child learn the basics of how the iPad works and how to use all the accessibility features it has to offer to blind users as well. When you do something on the iPad, the iPad will respond! These concepts may seem too simple, but we’re really looking at creating a relationship with a device that can become a major part of our learning toolbox in years to come. We can’t jump straight to learning braille on the iPad! 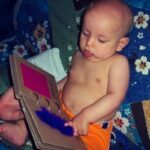 We began working with the iPad with our son when he was three years old, and a big part of the learning process at that time was just realizing that the FRONT of the iPad is the interactive screen and the BACK is, well, just the back. It doesn’t do anything! Cause and effect apps are perfect for getting your child interested in and accustomed to the iPad. Check out this list of some of our favorite cause and effect apps for kids and watch Ivan playing with iLoveFireworks below! The best learning is done in a fun environment and that’s true for the iPad as well. If you can turn learning into a game, your child is much more likely to be engaged and to retain the information to use later. Here’s the perfect example: You know that the iPad is accessible and that your child can use VoiceOver to read what’s on the screen and help them navigate through their apps. Obviously if you want your child to really learn to use their iPad effectively they’re going to need to know how to use VoiceOver. Now imagine sitting with your child and showing them how VoiceOver works, how to use it to scan the apps on the home screen, how to double tap to open an app… YAWN! That isn’t fun at all! Another way to make learning stick is to make sure it’s meaningful to your child. There are many great iPad apps that will incorporate your voice or your own personal photos so that your child will be engaged and motivated by what’s happening on the screen. One of our favorite apps that does both is My Talking Picture Board from Little Bear Sees. 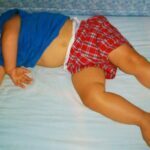 This app is designed for kids with CVI and connects directly to your photo library. You can use the app to create your own simple picture board using your personal pictures and also recording your voice to tell the story. 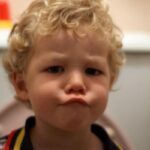 Your child taps on the photos and can either hear your voice describe the picture, see the picture move or both. It’s great for kids who are learning how to use their vision! From iPad cases to bluetooth refreshable braille displays, an iPad is only as fun as its accessories. Depending on how your child is using the iPad, you may want to get them a switch so they can access switch-activated apps on their tablet (and yes, the iPad has switch accessibility built in) or you might want to look into a stylus which can help some kids access the touch screen better. Need more accessibility tips? Read this post on iPad accessibility. Once your child is comfortable with the iPad and understands the basics of how it works, it’s time to start really using the iPad as a learning tool, but remember to keep it fun! Of course you can find counting games or animal sound games in the app store, but did you know that you can also find a game that will teach your child the braille alphabet on their iPad? Exploring Braille with Madilyn and Ruff from Sensory Sun does just that through a refreshable braille display. The game asks your child to either identify a letter or type a letter and each right answer collects dog bones for Madilyn’s furry sidekick, Ruff, who comes barking in at the end to collect his treats. One thing I love about this app is that, similar to Ballyland Magic app, it’s not just a fun game but it’s also introducing your child to the tools they will need to succeed in the future. 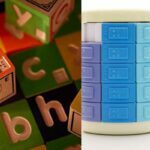 Where Ballyland teaches your child all about VoiceOver, Exploring Braille introduces your child to the braille display in a fun and simple braille game. Talk about having your bases covered! This post was sponsored by Sonokids, the makers of Ballyland Magic App. All opinions are mine. Sonokids’ Ballyland is a range of fun and educational computer software and apps for all children, including children with special needs. The design specifically supports playful learning by children who are blind or have low vision.